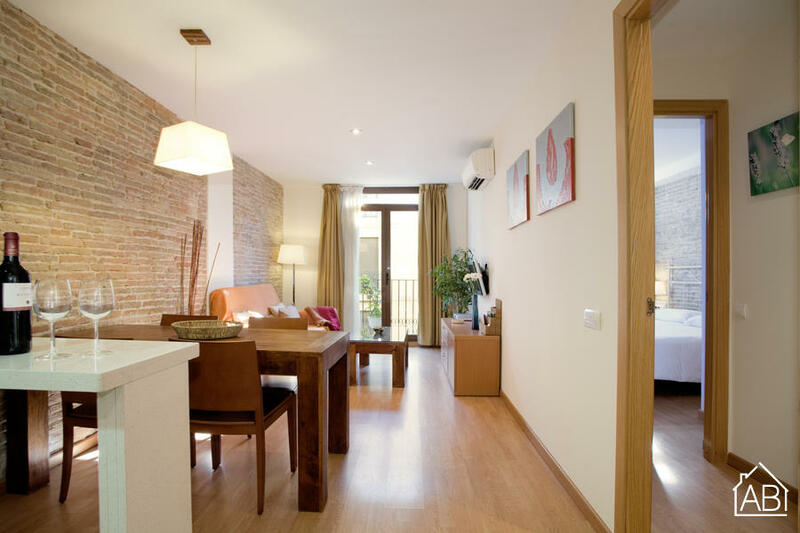 This quaint one-bedroom apartment in Barcelona located in the heart of the city, on Las Ramblas, is the ultimate choice for your trip to Barcelona. This space is one of sheer comfort, ensuring that you will feel right at home. This is the perfect choice for couples or families and can accommodate up to four people. The interior design presents a mix of comfortable yet trendy furniture, wood parquet flooring, original brick walls and a warm color scheme throughout this lovely apartment. You will find yourself at ease in this ideal home-away-from-home. The kitchen is well equipped, with plenty of the utensils and appliances needed to create your very own home-cooked meals. The bedroom is furnished with two single beds, and plenty of storage space to make your transition even more comfortable. The apartment has one bathroom with a walk-in shower. This charming apartment, complete with heaters, air-conditioning and access to a balcony, is the perfect choice for your trip to Barcelona, any time of the year.